Visit to Chennai Tyrannous Hall: I was in CTH on 22nd and 23rd February for the CTH Managing Committee meeting. At present there are 5 believing students staying and doing studies in different Colleges. They are being discipled and trained for life and ministry under the leadership of Dr. Abey Alexander of Christian Institute of Management, staying in the Campus as Voluntary Resident Staff. Chennai GCI Centre: CTH, under St. Thomas Evangelical Church of India, was constructed in 2003 under my initiative and started functioning in 2006 me as the Executive Director. We made an agreement with the Church and CTH for a space in the CTH for the regular and permanent use for Grace Counseling India for Counseling and Training. Mr. Samuel Chandran and wife were taking care of the activities of the Centre and supported financially for a few years. I had apersonal interview with the three students available and took a session on their True Identity in Christ. Capt. T. M. Cherian and his wife Capt. Latha underwent GCI training program in 2012. Cherian was helping the students in their spiritual and personality development after their training with GCI. As per the decision of the GCI Governing Board, he has taken charge as Counselor and Trainer at GCI Chennai Centre (in the space provided in CTH) from December 2013. He is doing counseling to other people who come to him at the Chennai GCI Center on appointment. GCI Chennai Centre Training Plans: We plan regular week-end or evening training programs, after May 2014, for those from the big city of Chennai who are interested about the Exchanged Life Counseling under the leadership of Capt. Cherian. Capt. Cherian and Capt. Letha are planning to attend the special GCI Seminar at GCI Centre, Kottayam from 7th to 10th May 2014 when John Woodward will be with us. They may stay back till John W leaves. Capt. Cherian will be a faculty for the training program taking some sessions for the trainees. Pray that there will be great ministry in Chennai through our this GCI Chennai Centre under the leadership of Capt. Cherian and Capt. Latha in the years to come. STECI Church worship – Sharing of the Exchanged Life message: On Sunday the Pastor gave me opportunity to give the message during the Church worship and to talk on Spiritually Mature Believer. God helped me share about Christ-centered life as the only alternative to self-centered life and the means to Christian maturity. The message was new and real to most of the members and they appreciated the message. I hope I will have more opportunity to conduct an Exchanged Life Seminar in the days to come for the Church members. The Pastor is one who was mentored by me years back. Grace Counselor: The quarterly publication of Grace Counselor will be published within two weeks after 5 years gap as January- March Issue 2014. The matter is gone to press with Cherian Zachariah as Editor and Deepak doing hard work on the same. This quarterly was greatly appreciated by the readers in the past and there were enquiries about the quarterly all these years. We go with the publication by faith as we have yet to find funds for the same. Pray for all these needs and opportunities foe His glory and for the furtherance of the ministry in the country. Recently Dr. Charles Solomon recorded seven short video messages to post on the internet. These talks on Christ-centered solutions are intended to connect with people who are looking for vital answers to chronic problems. He addresses anxiety, depression, PTSD, marriage issues and more. Check out this series on GFI’s YouTube channel. 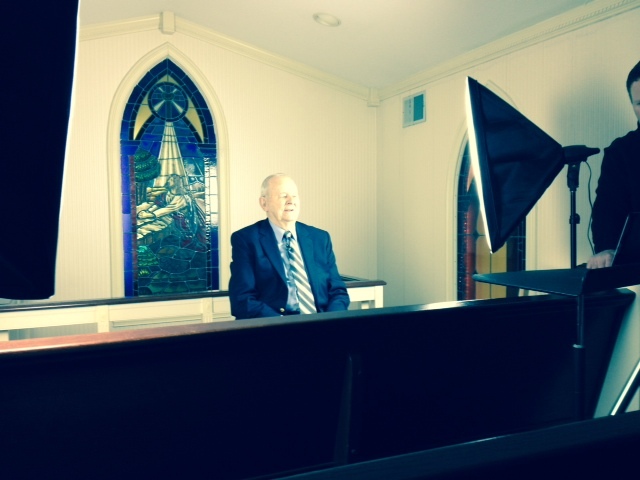 We thank Kevin Atkins and Calvary Baptist Church of Knoxville, Tennessee for their production services. “Bear one another’s burdens and so fulfill the law of Christ” (Galatians 6:2). In these challenging times, we need to encourage one another. Better yet, we can take opportunities to guide those we’d like to help to experience more of the sufficiency of Christ for their every need! Grace Fellowship’s calling is to see lives transformed by the Lord Jesus Christ through cross-focused discipleship and soul care. 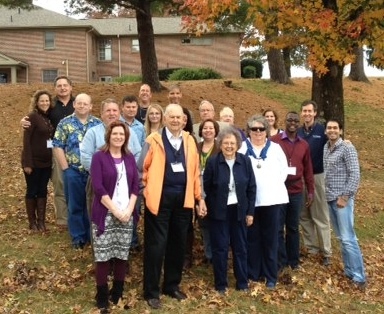 The Spirituotherapy Workshop trains alumni of the Conference to do basic Christ-centered people helping. The next one is Tuesday-Thursday, March 11-13, and is also hosted by First Baptist Church of Pigeon Forge. See the workshop web page for schedule and cost.